As I will be spending lots of time inside enjoying the comfort of the air conditioner as well as lots of time outside watching my girls get their energy out I decided I need to get a good list of books to read this summer! So far with the [little] wandering of blogs I've been able to do the last couple days I have a few books on my list! Happy Monday! It's 7:30 and the 3 kids are still asleep here. I've been up for at least an hour since getting my nephew- who thankfully goes right back to bed. I wish I could have, I know I'll be looking for some place comfy to curl up later in the afternoon. I've been doing that a lot lately. 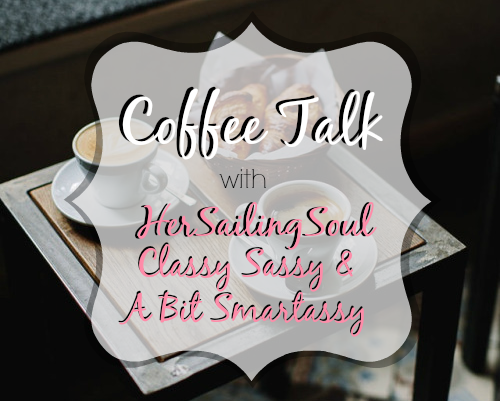 I'm so happy to be linking up with Jasmine for Monday Coffee Talk today. What better way to start off a new week? So I could be wrong but it looks like we're going to share a few goals for the week and I definitely need this. If only I had a nice cup of coffee to sit down with. Right now I'm completely caffeine free and living off of water. one. Cleaning. Lame right? My house has been a disaster for weeks- I just can't seem to get ahead of the mess right now but I have a good feeling that this might be the week where I finally have energy and can stomach the cleaning that needs to be done. two. Reading. We have a neighborhood/church book club. I've wanted to go but never get around to reading any of the books so with book club just over 2 months away right now I went and picked up their next book. Wonder by R.J. Palacio. I found this in the Children's section at Barnes and Noble, I'm really curious to see what I can get from this book. Have you read it yet? three. Get some sun! This is the first time in years that I've actually had a tiny bit of tan on my legs. I've been spending tons of time outside this summer so far and am happy to say that it's paying off tan wise. Other than that it's absolutely wonderful watching my girls run around outside. They could live outside if I let them too bad it's starting to get too warm for me to enjoy it too much outside. About 2 years ago my husband took my advice and started a gluten free diet. He sticks to it when he goes out and when we're at home. The thing is, I meal plan & grocery shop, and my daughters and I don't necessarily follow a gluten free diet all of the time. At first I would check labels and only buy anything that was clearly labeled Gluten Free. It was so time consuming to walk through the store, and having to double check everything I picked up. I eventually had figured out several things and just sorta stuck with those items for a while. This last couple weeks I've tried something new when it comes to my meal planning and grocery shopping. 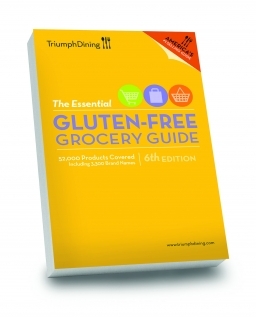 I've been using The Essential Gluten-Free Grocery Guide. I just meal plan and as I'm writing my grocery list if there is something I haven't bought too often or something I'm not quite sure about I'll just pull it up in the book. Honestly, at first I didn't see a point to this book, I was a bit overwhelmed with it and wasn't sure I'd even care to look through it. I mean sitting down to find new recipes, meal plan, make a grocery list, is more than enough to keep me busy and now I was supposed to throw this book in the mix? It seemed like a pain. It's really not though. I've enjoyed using it and making sure that I'm picking up the right things for my husband. I know he will never know what it's like to have to meal plan, make a grocery list and grocery shop all while trying to follow a specific diet, but it's A LOT of work, especially with 2 young kids in tow. If he ever gets the opportunity to actually do it I'm sure he'd appreciate the book as much as I have learned to. Those of you that are Gluten-Free, how do you meal plan and grocery shop? Do you stop and check every item- or are you stuck in a rut like I was for a bit there with just buying what is familiar? If you're just starting a Gluten-Free lifestyle or are looking for something to help you out, this book is a good option! Very helpful and easy to use. If you already have something you use, let me know what it is and how you like it! I was given this book in exchange for my honest review! 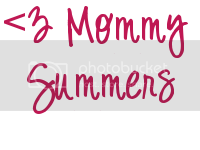 We are super happy on how our blog hop is growing and how many bloggers linked up last week. We are so thankful for you guys being part of it. With that being said PLEASE FOLLOW THE FOLLOW RULES! !